WEST LAFAYETTE, Ind. – A Purdue University researcher has verified the existence of 53 men mentioned in the Old Testament by painstakingly reviewing ancient historical sources and comparing them to the Bible. Dr. Lawrence Mykytiuk is an associate professor of library science who specializes in history and Jewish studies. In the 1990s, Mykytiuk began to study the archaeological record, looking for evidence of those mentioned in the Bible. “While some would put their hand on the Bible and really mean it when they take an oath, a few revisionist academics would throw it out and say, ‘That’s creative writing.’ I was looking for concrete, objective evidence outside of the Bible that would help build the case,” Mykytiuk said in a recent press release from the university. Typically Mykytiuk considers a biblical person verified only if three identifying characteristics (such as the person’s name, the person’s title, and the person’s father’s name) match with an extra-biblical historical source, like an ancient inscription. 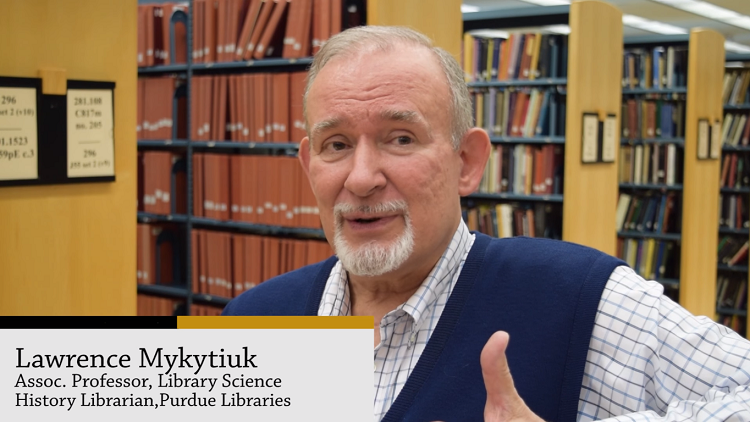 “Sometimes the three-step process is not necessary, as when we know that the person in an inscription and the person in the Bible are both connected to a one-time circumstance or event that fits one and only one person,” Mykytiuk explained. Using the painstaking three-step research process, Mykytiuk initially confirmed the existence of 50 Old Testament individuals and described his findings in a 2014 report. Then, earlier this year, he announced the addition of three more people to the list, bringing the total number of historically-verified Bible characters to 53. The list of people Mykytiuk has verified include Egyptian pharaohs; kings of countries neighboring Israel; officials from the Assyrian, Babylonian, and Persian empires; and several well-known Israelite kings, including Ahab, Jehu, David, Hezekiah, and Manasseh. Although Mykytiuk says that verifying a person’s existence does not prove everything the Bible details about the person, he believes it is still a good start.